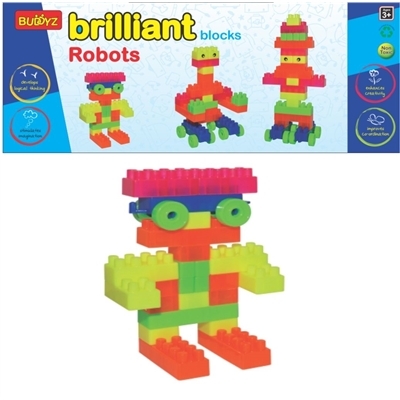 You can create at least 6 different uniquely & originally designed Robots with the brightly coloured toy blocks of Brilliant Blocks Robots. A design book is enclosed for your assistance. 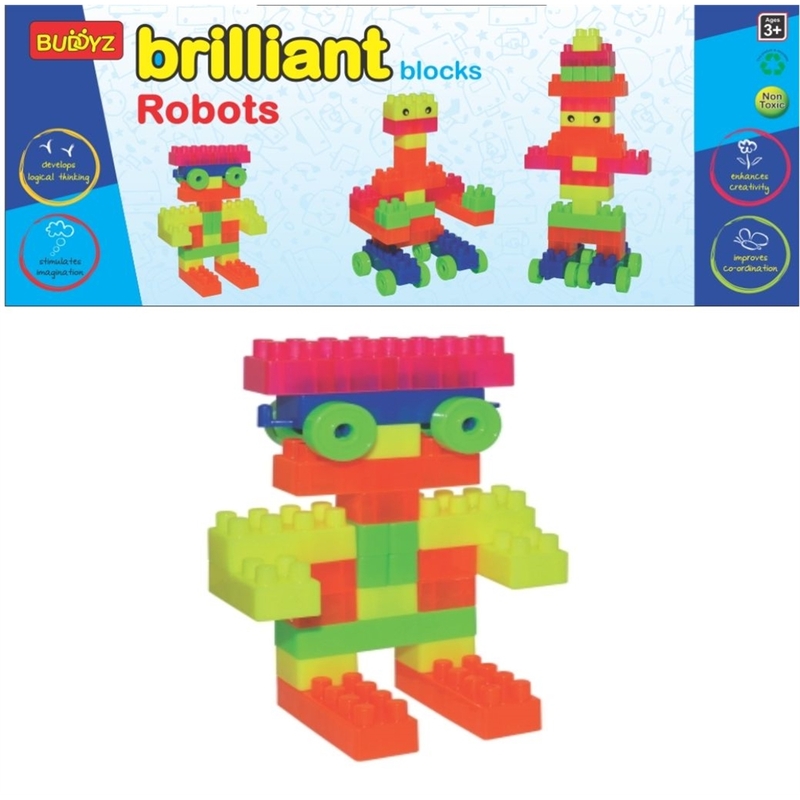 You can create much more by yourself with the colorful pieces of Brilliant Blocks Robots. This product stimulates imagination, enhances creativity, develops logical thinking and improves co-ordination. This product contains 28 colourful pieces made from non-toxic, high-quality plastics. © Copyright. Plastech International Pvt. Ltd. All rights reserved.